I love the OSCARS. The glitz, the glam, the fantastic movies… Are you caught up on your movie watching? No? Well, me neither. As I’m looking down the list of Best Motion Picture nominees, I realize it’s been a really bad year for one of my favorite pastimes, movie watching. 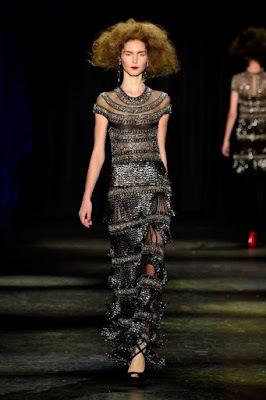 So, let’s just focus on the glitz & glam…and one of my other favorite pastimes—fashion! There’s no debating that besides film making, the OSCARS are all about the fashion. Which is why years ago, my sister and I began picking our dresses for the big show. Have I ever gone to the OSCARS? A definite no. Should that stop me from virtual dress shopping? Absolutely not. In fact, when you are fantasy shopping there are no rules, no budget, no boundaries. So, every year I beeline it to the haute couture shows, of course. I mean, this is the OSCARS, no way would I be caught buying off the rack, darling! This year, however, I’m stuck between two options. What do you think? Tough choice, I know! I love both…perhaps A for the ceremony and B for the numerous after parties I’ll be attending? (Remember, I have no budget). I realize, to some of you this may seem a tad silly, but I cannot stress how much fun this is and how much joy it has brought me in the middle of many a drearyToronto winter. So I encourage each of you to give it a shot, search the internet for haute couture shows and I challenge you not to lose half a day to your search for the perfect dress. 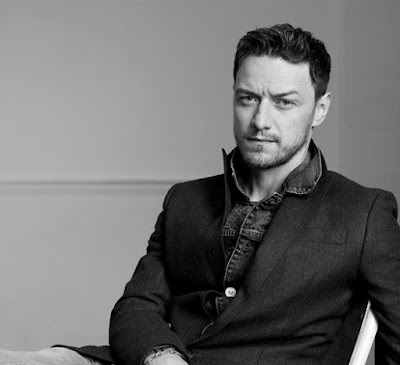 This year, I was going to go with a fictional date, “Lou Solverson” from FARGO, Season 2…but now that I’m thinking about, he’s probably an early-to-bed type, so instead I’m going with James McAvoy. sigh. Not only is he incredibly talented and super handsome, with a too-die-for accent, but he seems like he’d be loads of fun to share a few drinks and have some laughs with. He’s also been to the OSCARS before, so he would be relaxed about the whole affair (i.e. low maintenance). And, yes, he’s happily married, but so am I—and this is fantasy, ladies! So have some fun, picking that dress and perfect date. And if you need Hollywood inspiration, check out these Superromance books that have celebrity themes: Red Carpet Arrangement, by Vicki Essex (Jan/16), His First Choice, by Tara Taylor Quinn (May/16), No Ordinary Home, by Mary Sullivan (Oct/14), A Touch of Scarlet, by Liz Talley (Oct/11), and A Perfect Distraction, by Anna Sugden (Sep/13). Ha ha! I read half a day free and wondered what that was. I can't remember the last time I had half a day free! But I don't watch the Oscars, either, so I'm striking out here! Glad to see you here, though! And I love your choices!! P.S. If I did have half a day free, I'd spend it out skating or climbing one of the many mountains here that I have left to climb. Silly Mountain is next! If I went to the Oscars, I'd be entertaining for half the show looking at the dresses. I can people watch for at least the first four innings of a baseball game before my eyes ever focus on the hunky players.... Maybe it's because I'm a writerly homebody that taking me out in public means a lot of rubber-necking, but when there's so much to see, I like to take it all in!! And now that I think about it, maybe I'd be more distracted by the wealth of handsome men than the gowns. Geesh. What was I thinking?? Thank you for a fun post, Karen!! Hey Karen! What a fun post! Hmm I wouldn't lose half a day dress shopping, but the shoes ... *whistles innocently*. Oh the choice of date will be tough. Leaving aside the hockey hunks (because I'd have to compete with the gorgeous Joanne Rock!) and The Musketeers (yes, all four of them. I can't have men in better boots than me!) I think my date would have to be James Norton. And if he wasn't available, because he's in everything right now, Aiden Turner. Ooooh, James McAvoy. Great choice! Given my…ahem…advanced years, I would have to take a more mature date. I'm thinking Tom Selleck would do nicely! I keyed in right away on your photo of James McAvoy...and...? I'm sorry, were we supposed to answer a question? LOL. Thanks, Karen--I'm looking forward to the Oscars, too! Darn it! I tried to attach my dress pic (blood vessels all over it, very cool), but for some reason I can't copy it over. Boo. I don't dress shop for the Oscars, but I do spend a lot of time on Rent the Runway hunting for my RWA Harlequin Ball dress. I like the Marc Jacobs dress, I want to sit at the Revenant table with Tom Hardy and Leonardo DiCaprio. Pretty sure Leo is going to win, I want Tom to win over Sly. Just when you thought it was unanimous--I would definitely have to go with the drama of the first gown! The Academy Awards is the one place where there can never be too much drama ;-) My date is Chris Hemsworth, of course. Can't get too much of him, either! That pink dress, the Marc Jacobs, would look so pretty on you! But that black one is so dramatic it might be more fun, so I say go with whatever one suits your mood. My Oscar date? It would have to be Viggo Mortensen. He's a writer on top of all his rugged looks and great acting! While I'm partial to all things pink...I really think that first dress would look so amazing on you! I can never decide on what to wear to anything so it's take me WEEKS to find the right one. As far as a date? Keith Urban hands down. He knows the ropes too, thanks to Nichole Kidman, his wife--a fact we'll ignore. Oh the people we could meet...sigh. Thanks for sharing the fantasy with us!! I think I would take Rob James-Collier aka Thomas from DOWNTON ABBEY. Now I am off to 'buy' my gown or is that gowns? I also vote for the Marc Jacobs. Gorgeous. The Oscars go too late for me to watch, but I've got my DVR set to record. I'm taking Kit Harington! Maybe I'll skip clothes! !